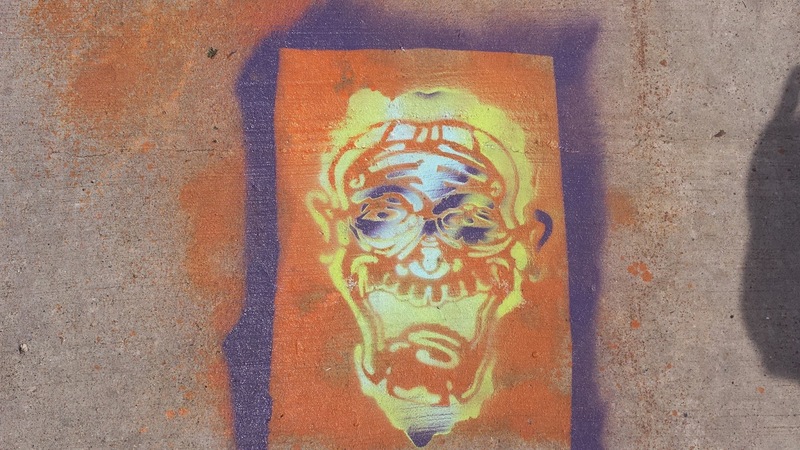 This fella currently stares up at cyclists and pedestrians on the bridge over the Yahara River by O'Keefe. It looks so awesome, I'd never guess it was painted by a group of sixth graders. 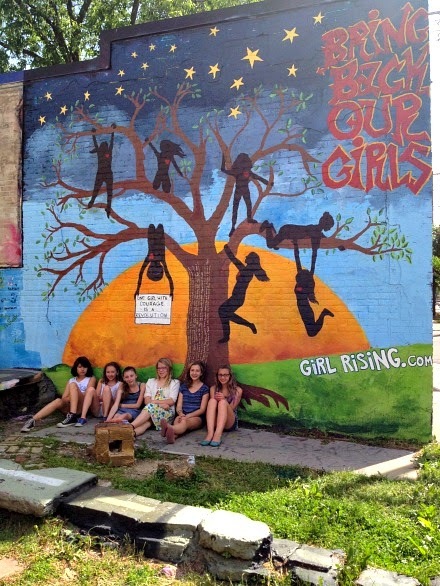 A bright new mural gracing the graffiti wall at Mother Fool's Coffeehouse on Willy Street pays tribute to the kidnapped Nigerian schoolgirls and the Bring Back Our Girls movement, and is part of a global awareness campaign in support of girls' right to education. Six middle schoolers from O'Keeffe -- Adeline Geary, Skye Lukas, Odessa Chusid, Anabelle Poore, Ruby Sutherlin-Sovern, and Amelia Hoffman -- are involved in a group called Girl Generation (modeled on the Mother-Daughter Project) that has been meeting over the last five years. Over the last year, these moms and daughters have organized community service and fundraising projects while also considering a public art project. Read the full article at Isthmus.